With thanks to G Promo PR. 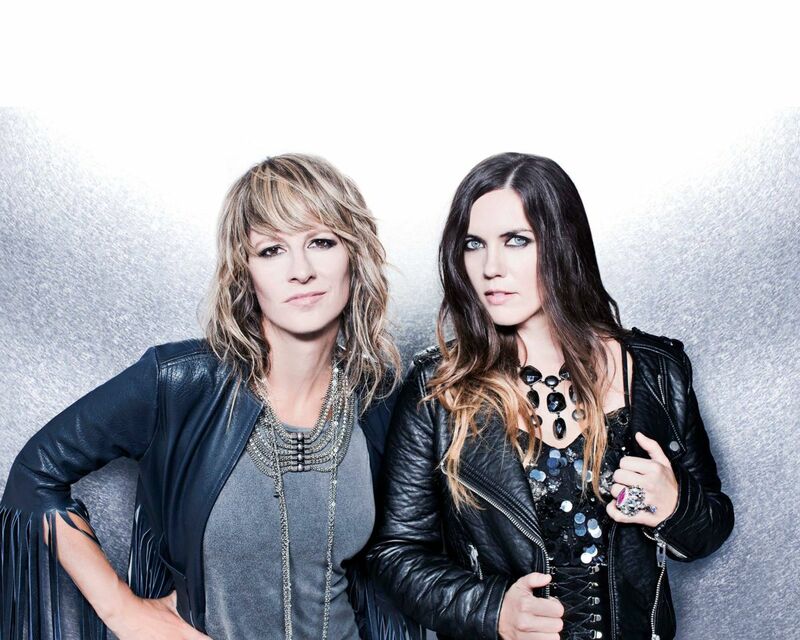 For those who don’t know Madison Violet, it all began in 1999 when Brenley MacEachern and Lisa MacIsaac met over coffee and omelettes, in a Toronto restaurant called The Green Room. It was a chance meeting, 1900 km away from the small town where both Lisa and Brenley’s fathers were born. That was nearly 18 years ago, and the pair have been writing and creating beautiful music together ever since. When you hear them, the first thing you’ll notice is that their voices blend together, symbiotically, like family: Born to sing the same songs. And over the past decade, the pair have taken to genre-bending, moving effortlessly from folk to pop to electronic to Americana. In a word, they are musical chameleons. Over their last two extensive tours of Europe, Madison Violet was overwhelmed by the incredibly warm reception that came from the fans, when they introduced their newer, bolder sound; one that came from their 2014 album Year Of The Horse. But Madison Violet knew that those songs had even more potential. And they felt an even bigger challenge would be to let the songs speak for themselves, recreating them in a more acoustic form. Their purest form. And with that, came The Knight Sessions, which is both a re-imagining of previously recorded songs and a creation of brand new songs, inspired by their deep-seeded love of the modern acoustic sound and the human experiences shaping their world today. With that in mind, Brenley and Lisa decided to start their new adventure by visiting several pawn shops in Toronto, in a quest to find discarded items that they could use to make natural sounds in the studio. 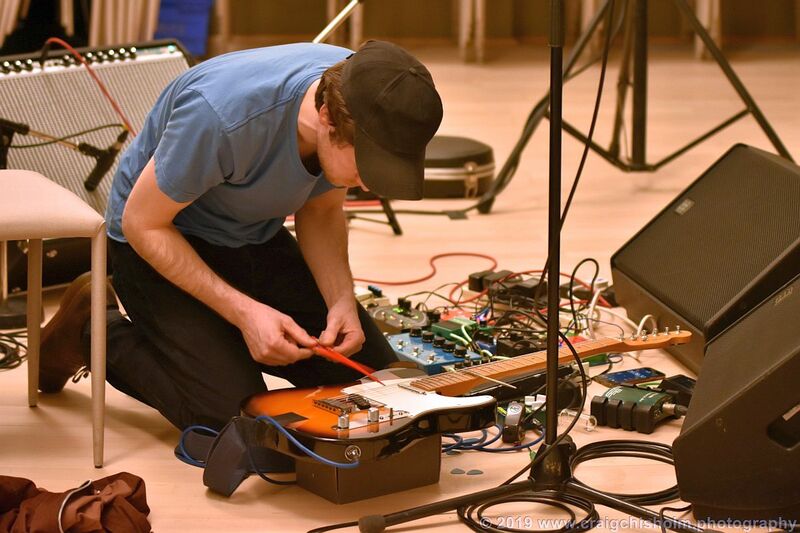 They sifted through an island of misfit toys and out of date electronics, and eventually found several instruments and percussive toys. From children’s wooden blocks to ukuleles with missing strings, one by one, Brenley and Lisa gave these gems a home, and started working on their new album. These unique items are what gave The Knight Sessions a more organic feel. The textures of the wood. The plucking of the old strings. The stories that were already in these ‘toys’, came out through the songs. So, as the tour nears, Brenley and Lisa will be packing their suitcases a little lighter. They will not only be returning to the UK and Europe for dozens of shows, but they will be arriving in their most organic form. The way most Madison Violet fans discovered them. As a duo. No backing band. No big light show. No rock star after-show dance parties. This will enable Brenley and Lisa to showcase The Knight Sessions as it was meant to be heard. Raw but refined. Stripped down but still packing a punch. And it will also find them, as they were in 1999, ‘Back To The Roots’. OK, perhaps the link to Aberdeen Voice for this London show is a tenuous one. However, the Temperance Movement have a large, loyal fan base here who have seen the band in The Tunnels, The Lemon Tree, and the Beach Ballroom. If you’re one of those fans, here’s an account of the London acoustic show and a few comments from the band. By Suzanne Kelly. The Temperance Movement always impressed from their first small shows through touring with the Stones and their current, seemingly endless world tour. Class, sincerity and promise are the heart of their rock, southern rock, blues and ballads. Quickly winning and deserving a fiercely loyal fan base, TTM must be among the hardest-working acts around. I am one of the lucky 300 to see them in London. Fans on the band’s mailing list were alerted to three acoustic dates with one at London’s Bush Theatre. In order to outfox the ticket touts, fans had to earn a certain number of points to prove they were genuine and not scalpers. One of these ‘tasks’ involved watching a wild, wacky, stunning, fun video for Get Yourself Free. It was a case of earn your points, order your tickets and download them on a bespoke app, and you got in – if you were quick enough. Arriving at the Bush, you were struck by its small size (only 300 tickets were available) and beauty it is a proper old-fashioned theatre with an ornate high ceiling just screaming out for some proper music to use its acoustics and that’s what we got. Next you might have noticed that peppered around the crowd were managers, Earache Records and other industry folks, and the band’s friends and relatives. It almost felt like we were crashing a private pre-Christmas thank you party from the band – and in a way we sort of were. Out they came – Phil Campbell at a concert piano. And off we all went. They took us to the Mississippi Delta. They took us to the San Antonio river walk, to dance palaces, to dirt roads in Tennessee. They took us to the 1920s, 1950s, 60s, 2016, and into the future. We got ourselves free. A bit of an obvious question, but with so many different musical flavours, influences and genres that The Temperance Movement craft into their own unique works, it seemed prudent to ask them what some of their influences for this acoustic show were. It wasn’t surprising that they mentioned both Crosby, Stills, Nash & Young and The Band – these are acts that come to mind when you see TTM live. The CSN&Y harmonies and beautiful acoustic playing, and The Band’s energy at their live shows in the day, and their cornerstone pure American rock are definitely springs TTM has drunk from. 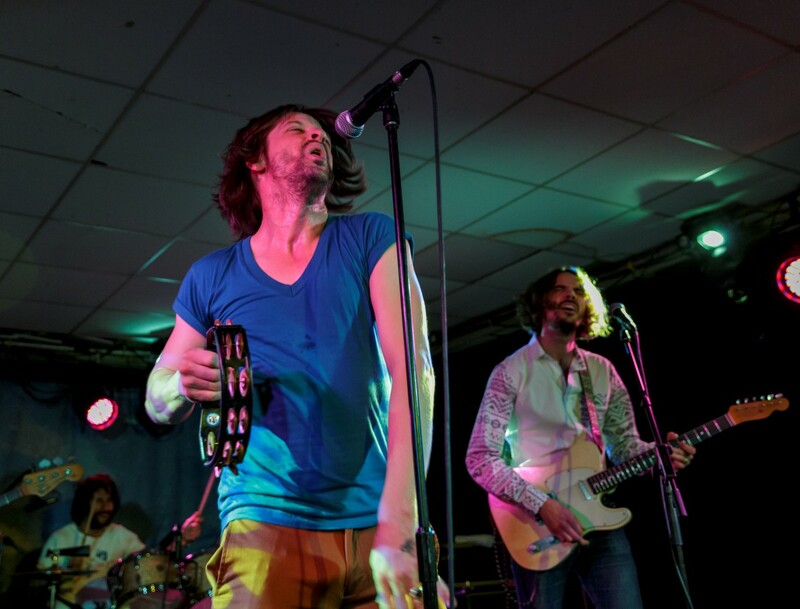 With a reputation for genuineness and a complete absence of artifice, The Temperance Movement and its guests had a night no one will forget anytime soon. Those vocal harmonies – not least on Chinese Lanterns. That beautiful guitar work – well – on everything – with such range and depth. If you closed your eyes while listening to Only Friend, Lovers and Fighters, White Bear, you could be forgiven for thinking this was an all-American band composed of the finest blues and rock seasoned veterans and that you had to be in the US. The Temperance Movement dressed the part as well, most sporting jackets – all nicely suited and booted. The venue had delicious acoustics for this night; the room was filled with golden harmonies, each note of the piano was heard, and I could go on. I really hope someone’s recorded these acoustic sessions; I’ll be first in the queue to buy a copy. Phil remarked about how things seem different when you return to the UK after being in the USA for a long time. He altered the lyrics on I Hope I’m Not Losing My Mind; the song as recorded seems more an indictment of a selfish partner. At the Bush he’d turned it around into a kind of apology which certainly seems geared towards his partner and family. Life on the road seems a likely cause for both versions of the piece. The band were asked how life on the road was treating them. This band’s only on its second album – but we got a look into the future when Phil performed a song that I’ll call ‘Children’ for ease of reference. It starts out with insinuations of disloyalty and neglect of loved ones, and then ‘I never want to write a song like that’ is the refrain. It was a homage to home life – something they must all be missing greatly. Behind these great musicians must be some great lovers, friends and family to keep them going. Sadly, percussionist Damon has bowed out. One song Phil dedicated ‘to everyone who’s ever been in The Temperance Movement’. There were two cover songs in the evening were hugely enjoyed You Do It To Yourself (curiously dedicated to management – if I have that right) and Blur’s Tender which was another earnest rendition. The only minor event to mar the night was swiftly brushed over. Is it easy to start a song on stage? Hell no. Possibly a song like Serenity – acoustically in particular – must require concentration as well as intuition. Alas – someone decided to use the first few bars to shout “Put that camera down! !” loudly. The band continued and full marks for that. It’s easy to understand the frustration some people have who come to experience a show like this, not to record it on an iphone. A little later Phil made a very gentle rejoinder to the interrupter – another man might have been more angry. Problem solved swiftly, elegantly; problem forgotten. Serenity was as ethereal as Chinese Lanterns had been – such beautiful songs! I wondered how they’d deal with the crescendo in the acoustic format; the answer was very gently, but my mind seemed to still hear the electric guitars and emotion-packed vocals from the album. These songs, White Bear, A Pleasant Peace I Feel – in particular – these are songs which still create an emotional response however many times I hear them. Here’s a youtube video to give you an idea. Hearing them in a completely new way was something I wouldn’t have missed, and again, is really something that needs to be recorded and released. I want. As the night drew on the enchantment grew. Everyone around me was silently soaking it in, smiling all the while. Final encore? A pleasant Peace I Feel. Even if you ignore the moving lyrics, the music alone makes it one of the most uplifting, energizing, feel-good songs you’ll have heard in years. When the house lights went up, it went up on some seriously happy people. The Moorings continues to bring acts to Aberdeen which command attention. 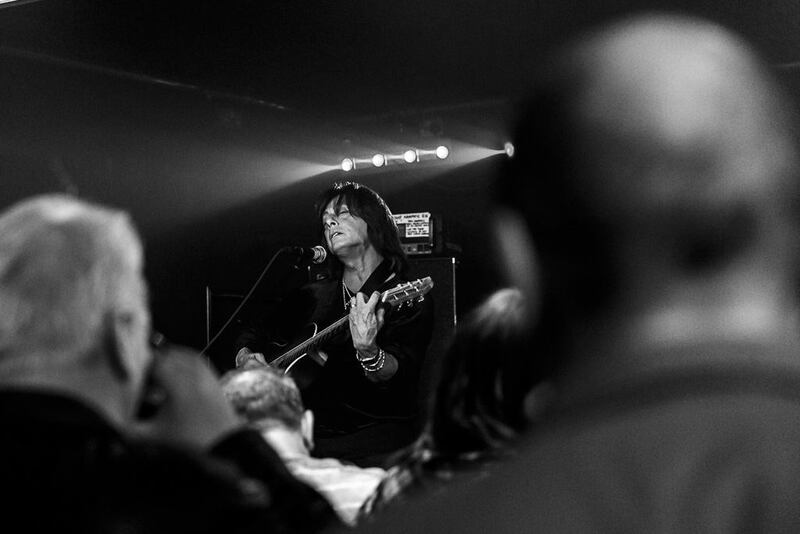 Joe Lynn Turner’s not-to-be missed acoustic evening was something else again. Suzanne Kelly reports; photos by Still Burning – aka Julie Thompson and George Mackie. If you were of a certain age, and living in the US, you loved rock and metal. Particularly English metal. Every guy wanted to be in a band; some great musicians came out of the 70s in the US. UK bands filled giant arenas and played to capacity crowds. Led Zeppelin reigned supreme (and for many of us still does, not least with the re-release of Physical Graffiti on its 40th anniversary – but I digress). If you worked at it long and hard, you became a halfway credible guitarist. If nature had particularly gifted you and you worked at it, you could sing passably. 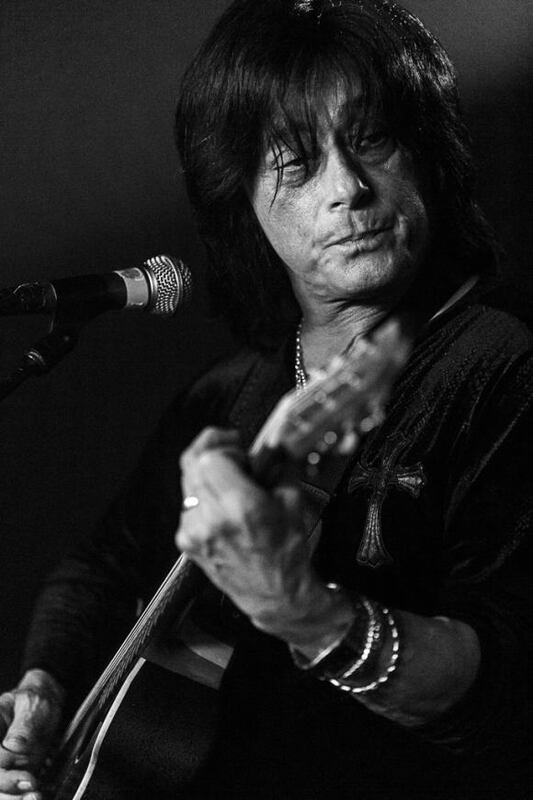 If you could play remarkably well, had a perfect voice for rock, and could write, then you could only be Joe Lynn Turner. This was the guy from New Jersey who joined Ritchie Blackmore’s Rainbow for much of the 80s and was on Deep Purple’s Slaves & Masters. This guy from New Jersey who played to tens of thousands in stadiums invited us to have a nice, warm intimate show at the Moorings. And we loved it. JLT is touring; it’s an acoustic show with two other guitarists. Being able to hear music stripped down to an acoustic essence is a good way to figure out if you’re just listening to someone who can deliver a few power chords via some distorting electronics or someone who can play with some subtlety and skill. I dare say he’d won us over before he was through the first few measures of his opening piece ‘Stone Cold.’ He finishes, tells us he ‘looks like a criminal’ under the bright lights, and asks us to just shout out any questions as he goes along. He then tells us about a recurring dream and a face that haunted him – and ‘Street of Dreams’ is next. People have brought along their treasured memorabilia; he promises to sign these later. Soon he mentions Ronnie James Dio and sings Catch The Rainbow. He’s doing material that showcases his considerable gifts. He’s taken tracks from Slaves & Masters; he’s covered the Beatles’ Blackbird and When I Saw Her Standing There; he’s done Van Morrison. This night is more like hanging around with your friend who plays guitar, as you talk. I’d never imagined this would turn out to be such a warm, friendly, down-to-earth evening – but it gets even more so. We wind our way to the last few songs. Deep Purple’s Hush is near the end; and by now most of us are singing. But as the show nears its end, we get the extraordinary treat of an acoustic Smoke On The Water. I’ve seen Flash in the room; he’s grinning from ear to ear. I think that every single person was singing along. Remembering this moment makes me want to sing it aloud again now. He’s off; he explains the band have an early plane to catch. All I can say is thanks for a great evening, and if you find out that Joe Lynn Turner is heading your way, I’d suggest you get there. I never thought I’d see a show quite like this; JLT virtually made a friend of everyone there. When he mentioned Ronnie James Dio, I was catapulted back to the late 70s when groups like Elf, The Rods and The Numbers were swelling up in Dio’s hometown, and the impression they made on me then which lingers. Somewhere I have an old cassette tape (is there any other kind?) of Dio singing before he broke big. I must find that tape. With thanks to Dan Leckie. A lineup of highly talented Aberdeen-based acoustic musicians is about to perform at a Distinctly Downstairs gig, the second such event, though the first to highlight an all-acoustic lineup. These gigs are held once a month, on the second Saturday of each month. With the first Distinctly Downstairs show having been highly successful, the second is set for 8th June, starting at 7.30pm. Downstairs – an exciting venue where the gigs are held – has newly opened at the Malt Mill. 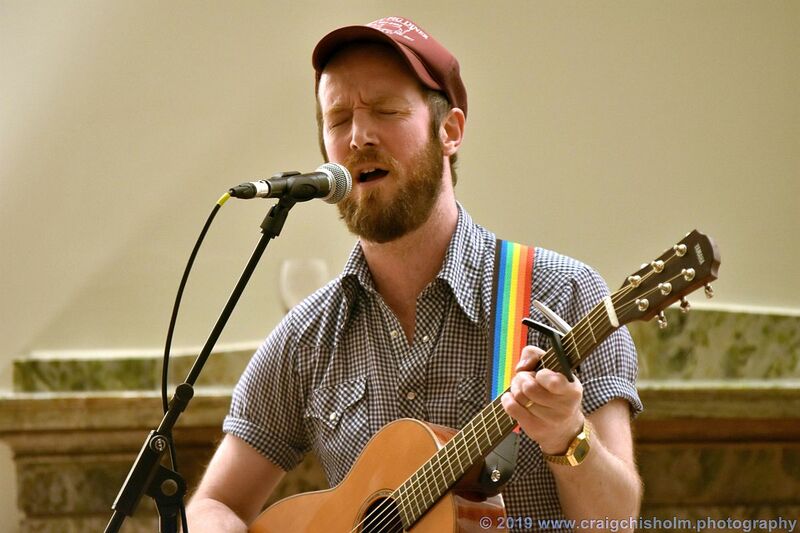 Headliner Craig John Davidson is an Aberdeen-based singer-songwriter who has been writing and recording from home since he was 15 years old. 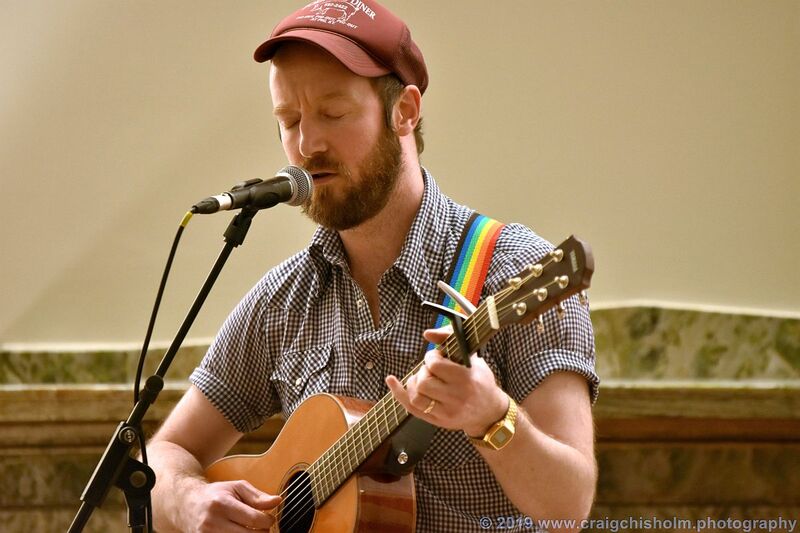 In his songs, Craig brings an intelligent eye to the problems in modern society as well as interpreting the influences and challenges most young citizens meet today. This uncompromising style and approach has earned him a good fan following, all enamoured of his unique vocals and accomplished finger-picking ability, comparing him to a young Bert Jansch or Elliot Smith. At the gig, Craig will be joined onstage by guitarist Innes Cardno. Russo is due to self-release her first EP in June; indeed, this will be her first gig since the release of her EP. Robbie Strachan is a former member of the London four-piece band The G String Snaps, in which he contributed songwriting and was the lead vocalist. As such, he was the UK Songwriting semifinalist in BBC Introducing’s 2010 pop category, receiving airplay for his highly celebrated song Nefertiti Was a Queen on BBC Radio 6 and BBC Radio Scotland. His set features quirky lyrics and highly rythmical strumming. R.D. 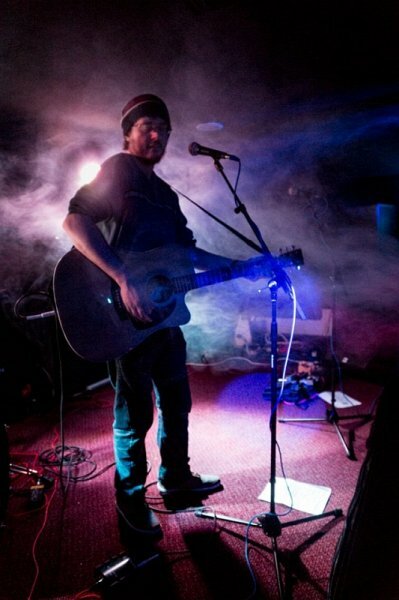 Wyness is a local singer-songwriter, playing original acoustic songs, mainly in folk and blues styles. He has been making live appearances since 2003 or 2004, when he played a college gig at the Blue Lamp. June Stevenson is a singer/songwriter in the process of recording her 2nd album. Her 1st album was released in September 2012, entitled Newfound Heights. She will be playing some of her new sounds on the night, to help promote her upcoming new album (yet to be titled), and will also be performing a couple of cover songs. On the night, she will be accompanied by Chris Paterson on acoustic guitar. The third Distinctly Downstairs gig will be on 13th July, again at Downstairs.